Anyone who has studied Biology knows that nature takes care of itself (mostly!). Sunflowers grow and flourish in fields without a helping human hand, while blueberries can spread their vines across the ground offering up a bounty of fruit. Companion planting is a gardening method that harnesses nature’s own means of fertilization and pest control. Without chemical additives and trips to the gardening store, your garden can thrive like those wild plants. Here are a few companion plants that are perfect for the common backyard garden. Marigolds, beautiful orange blossoming flowers, are the wunderkind companion plant because they can protect your entire garden. Marigold roots contain a natural pesticide that is excreted into their soil, which kills certain types of nematode that live in the soil. The plants can even be turned under at the end of the season so they decay in the soil, continuing to protect your garden. Marigolds also repel whiteflies, thrips, and bean beetles. The Mexican Marigold is so strong that it is known to destroy weeds, as well. Avoid planting these blossoms near beans, because they can have a herbicidal effect. If onions make you want to cry, you have something in common with common garden pests. Alliums, a species of plant that includes garlic, onions, shallots, and chives, are an excellent pesticide. Specifically, slugs and aphids are deterred by alliums, so your roses will love garlic nearby. Additionally, the plants repel carrot fly and cabbageworms. Alliums are also beneficial to broccoli, cabbage, carrots, tomatoes, peppers, and fruit trees. 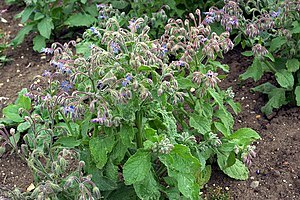 Borage, a herb with a pretty blue flower, is a prolific grower. While it adds a great pop of color to your garden with little effort on your part, borage is also a nurse plant. Its leaves contain Vitamin C, potassium, and calcium; by composting the leaves to make fertilizer or turning the leaves down in the soil, your garden soil gains nutrients. Borage attracts wasps, which defend your garden from harmful pests, and honeybees, which help with fertilization. Borage deters hornworms, a highly destructive pest. Basil is a incredibly useful herb to have in your garden, simply because it is commonly used in cooking. Besides saving you money on your herbal grocery shopping, it helps improve the size and flavor of tomatoes, and is beneficial to peppers and asparagus. As a pest control plant, basil repels thrips, flies, and – great for you! – mosquitoes. Tarragon is another beneficial herb. 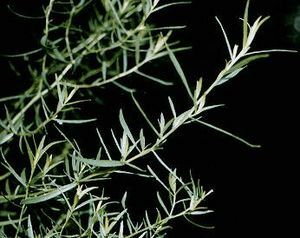 Nearly all pests find tarragon’s smell to be absolutely repugnant. Dispersed throughout your garden, tarragon will protect all of your plants from pests. Tarragon is also a nurse plant, which enhances the growth and flavor of nearby crops. While everything benefits from it, eggplant especially loves tarragon. Both tomato and pepper plants require high levels of humidity and need shade for their fruit. Because the plants grow tall and have dense leaf growth, they increase humidity and add sun protection, when planted together. Plant the two fruits in clusters to see their benefits. 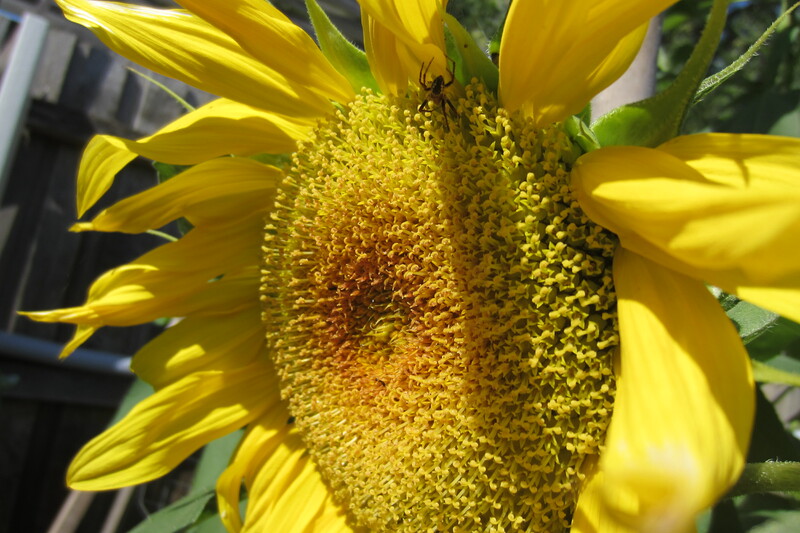 Tags: Companion planting, Fertilization, garden, Natural, Pest control. Bookmark the permalink. Pingback: Companion Planting And Your Vegetable Garden | Laconic Landscape & Design - Pools, Patios, Pergolas, Outdoor Kitchens, Decks, Fences, and More! 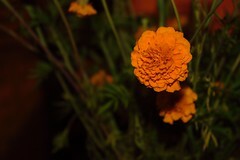 Marigold is so lovely, particularly the red and yellow flowers of French variety. Collect seeds when dead heading the flowers off, when flowers dry just break them apart where you want to grow next season. Thanks Rathany, I’ll give that try. We are heading into Autumn now so not long before I get the chance. Basil helps tomatoes taste better so plant in combination! Great advice David. I’ve done exactly that, with one basil plant per tomato vine. Both seem to be doing well although can’t see a difference from previous years. Will at the least eat both together – YUM.